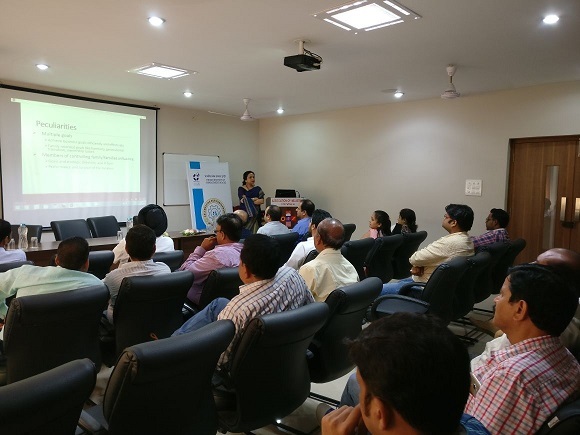 IIM Indore’s Industry Interface office (IIO) organized an Industry Outreach Programme at Dewas on September 5, 2017; facilitated by Association of Industries, Dewas. The programme was attended by various industrialists from Dewas and nearby regions. Inaugurating the programme, Professor NMK Bhatta, Chairman, IIO; explained to the industrialists about the IIO, its objective and how it can help the industry leaders in making their businesses more successful. Thereafter, a talk was delivered on the topic ‘Growth Prospects & Future Plan for Young Generation Joining the Family Business’. 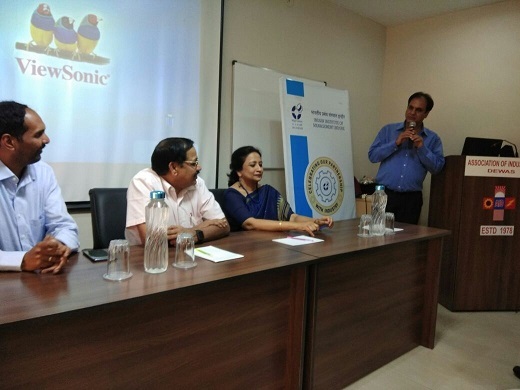 The speaker for the talk was Professor Kajari Mukherjee, Faculty, IIM Indore who is also an expert in the area of Organizational Behaviour and HRM. In her talk, Professor Mukherjee addressed the issue of why near about 70% family-owned business fail or are sold-off before the second generation gets a chance to take over. She also suggested ways in which a family leader should meticulously plan the entry of subsequent generation into business. She then discussed about how a family leader should take steps for his own exit and for the exit of others of his own generation from active management of the business. The talk witnessed participation of the large number of industrialists across Dewas region and was a special attraction for family owned business enterprises.